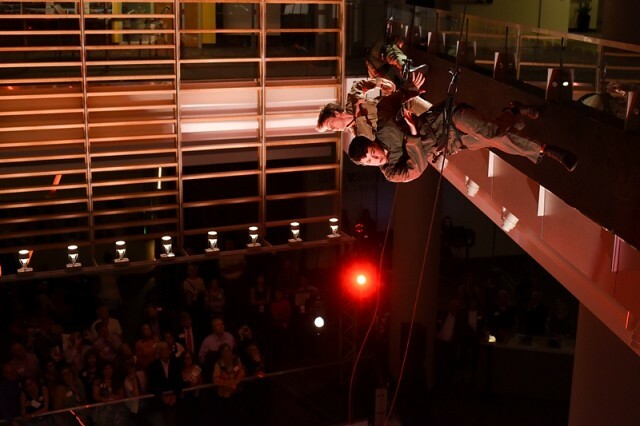 Chancellor's Circle members watch Bandaloop perform in the Talley Student Union atrium. 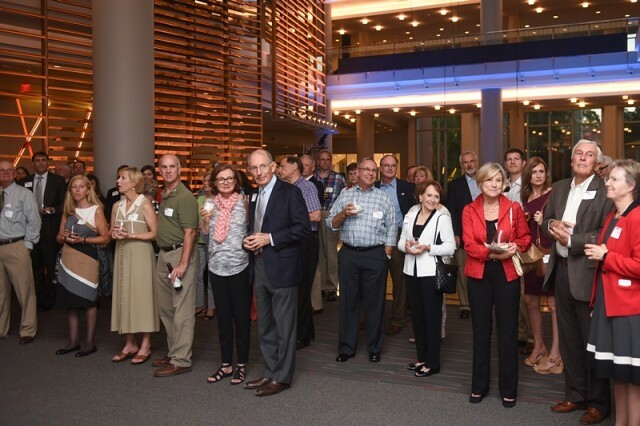 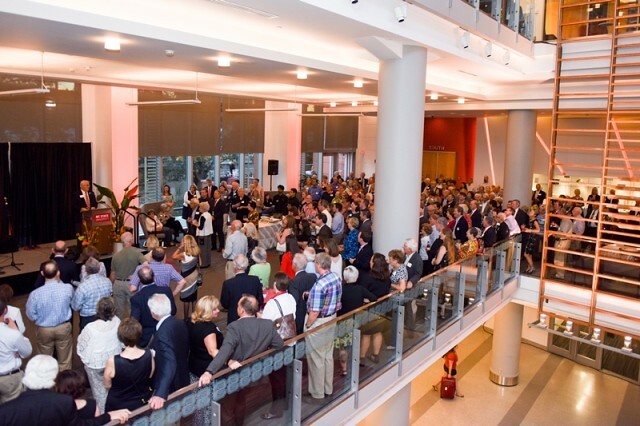 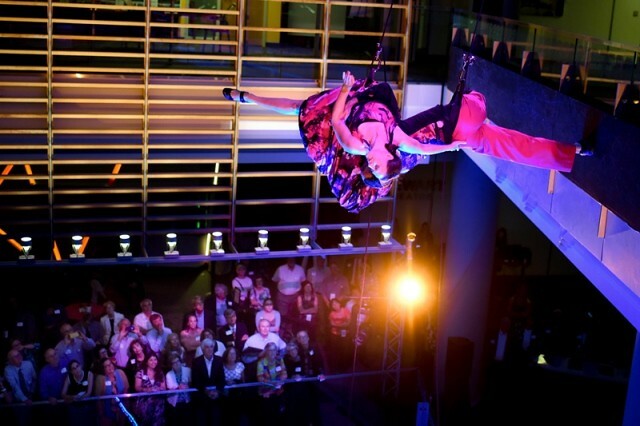 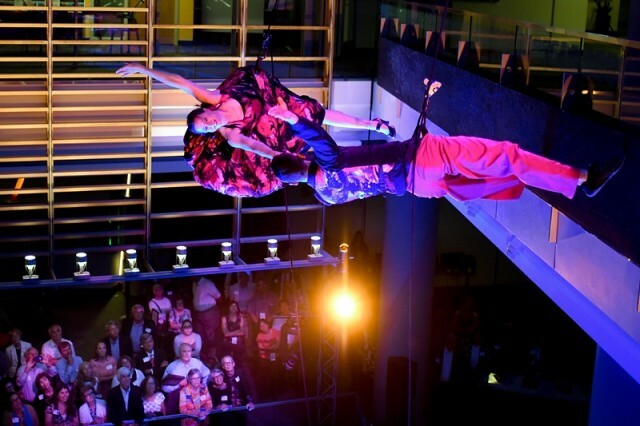 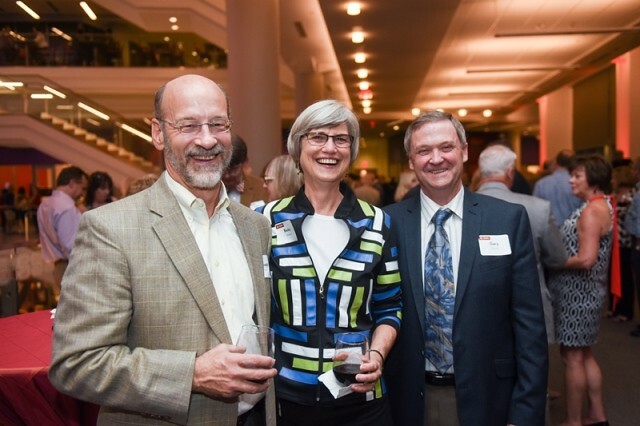 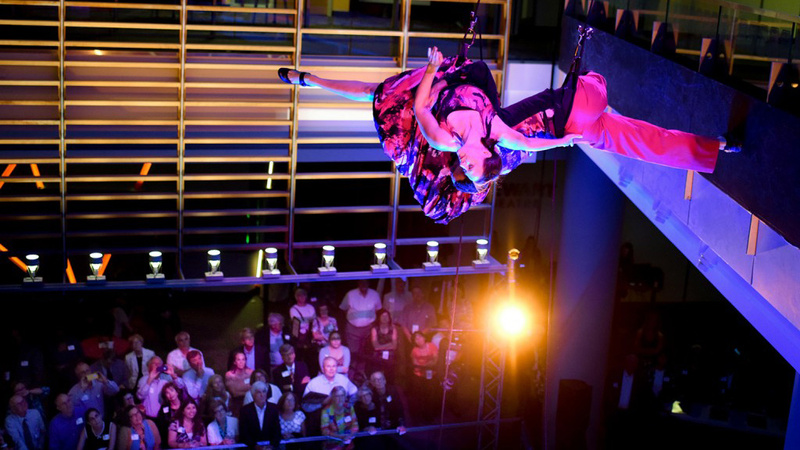 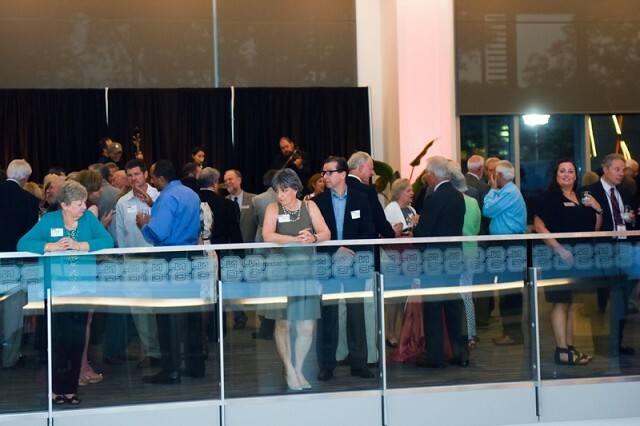 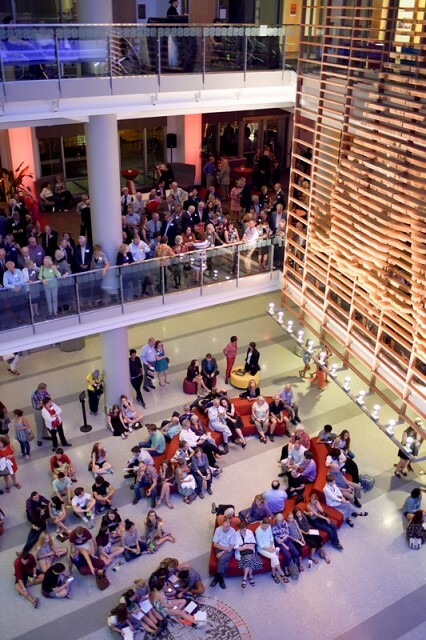 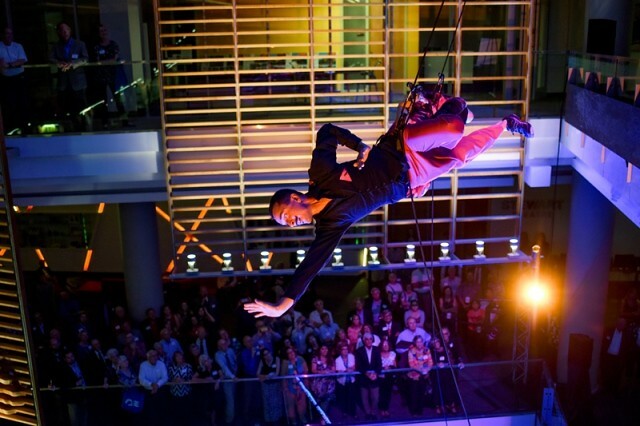 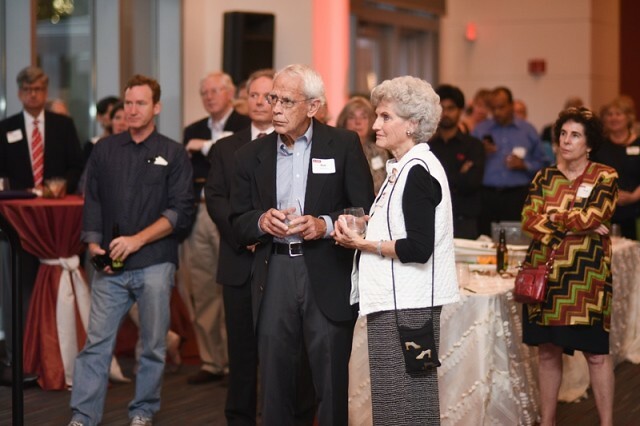 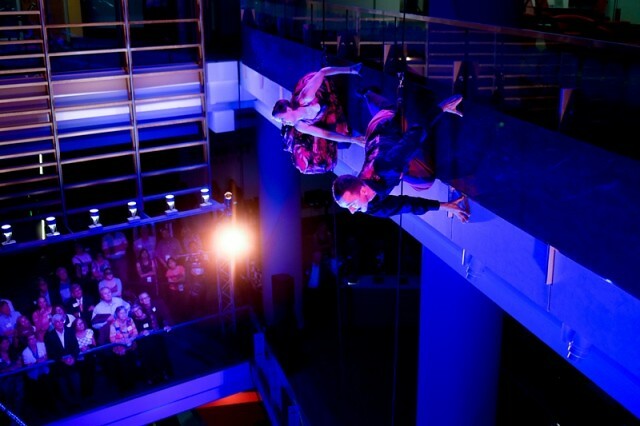 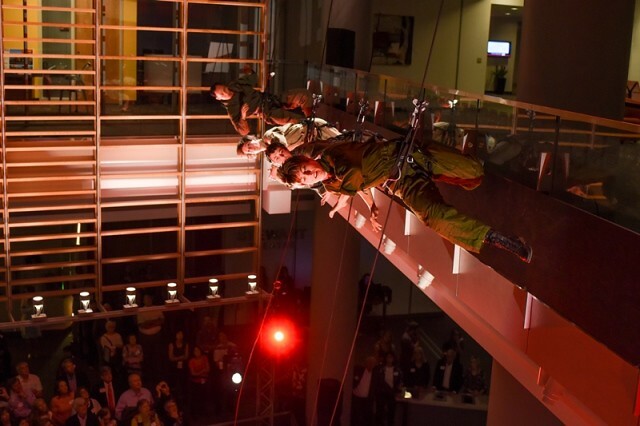 About 500 members of NC State’s Chancellor’s Circle enjoyed a festive evening that included a show by vertical dance troupe Bandaloop on Sept. 18 at Talley Student Union. 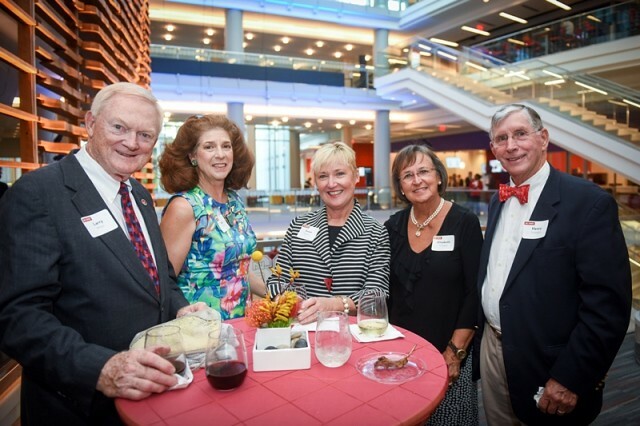 The annual Chancellor’s Circle event celebrated the important impact made at the university by this group of leadership donors. 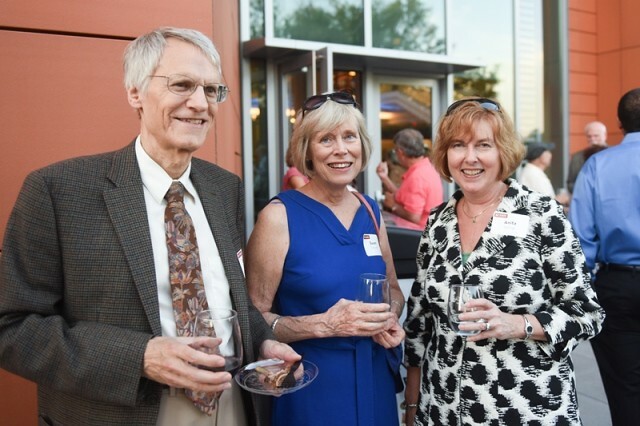 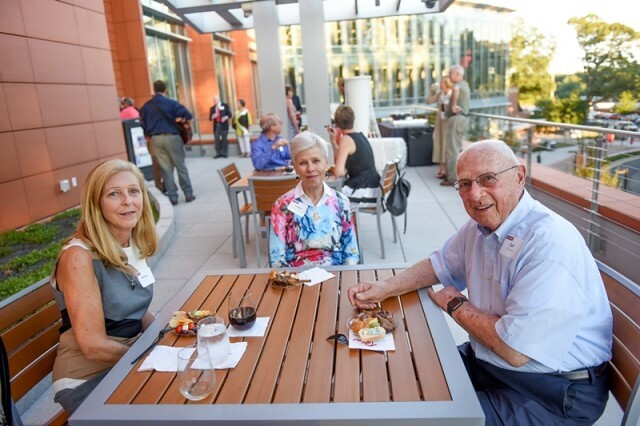 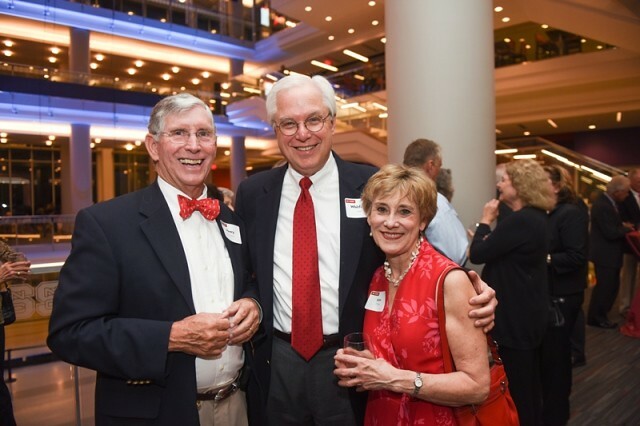 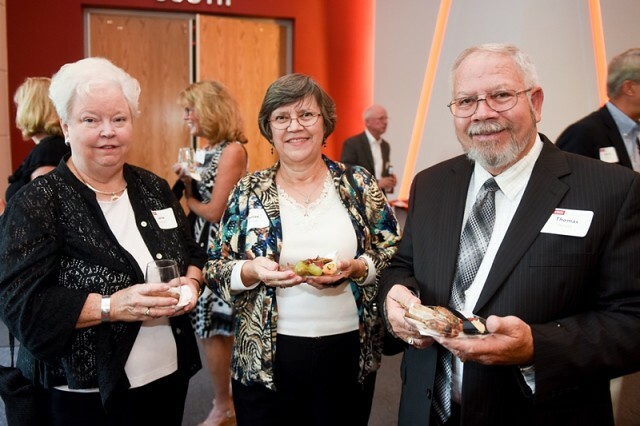 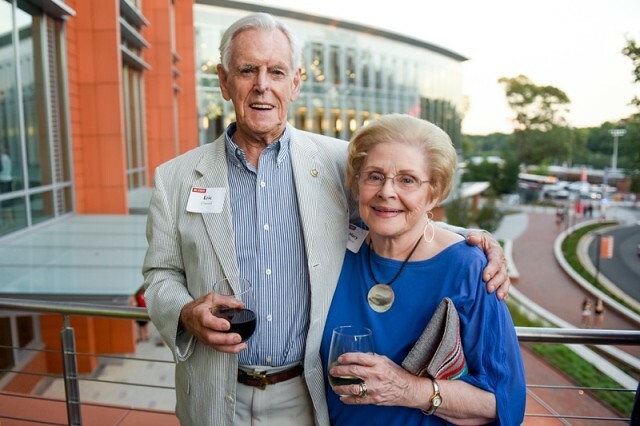 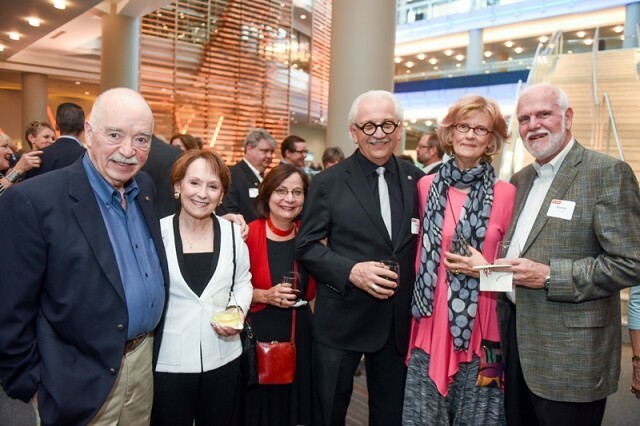 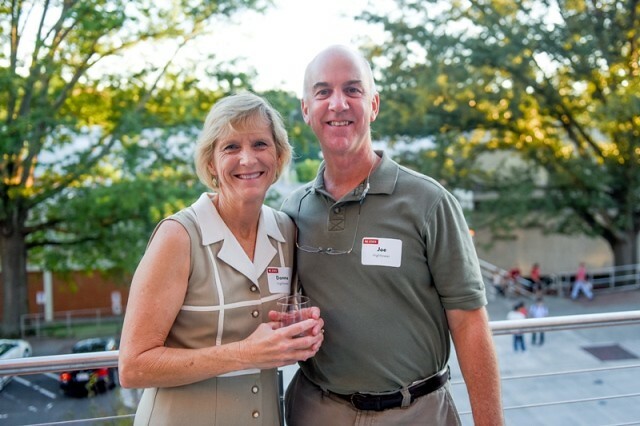 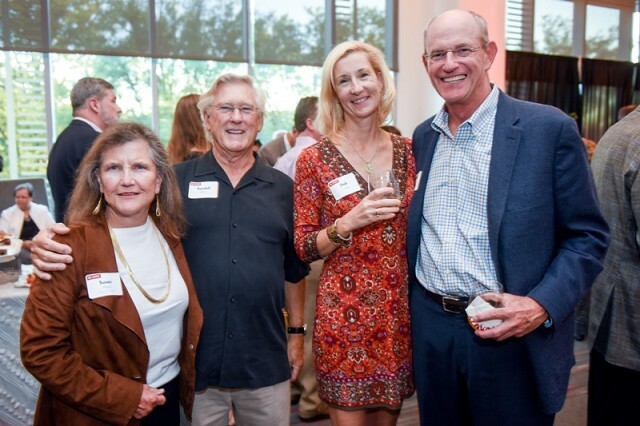 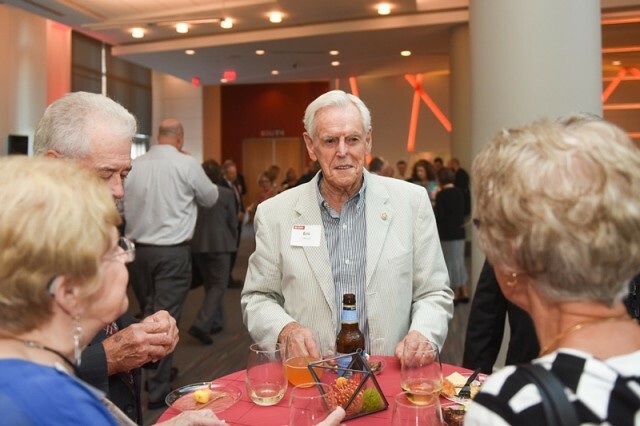 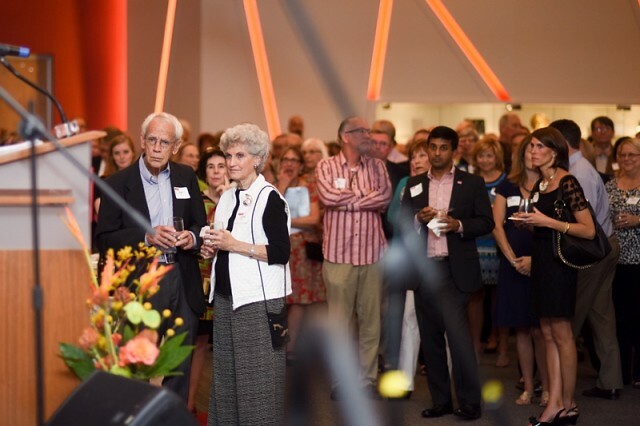 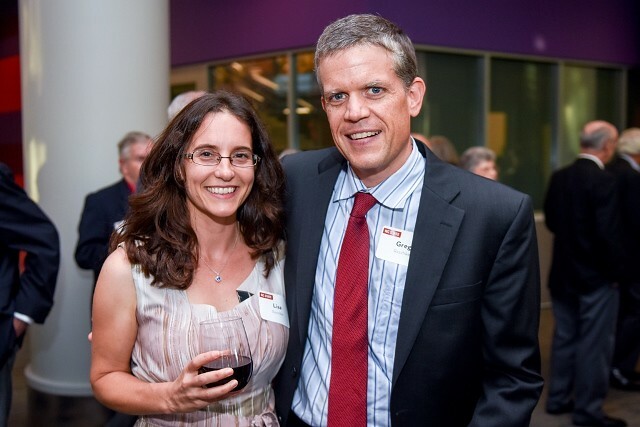 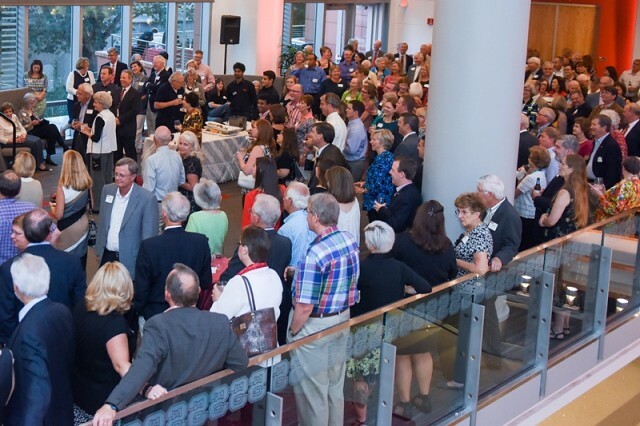 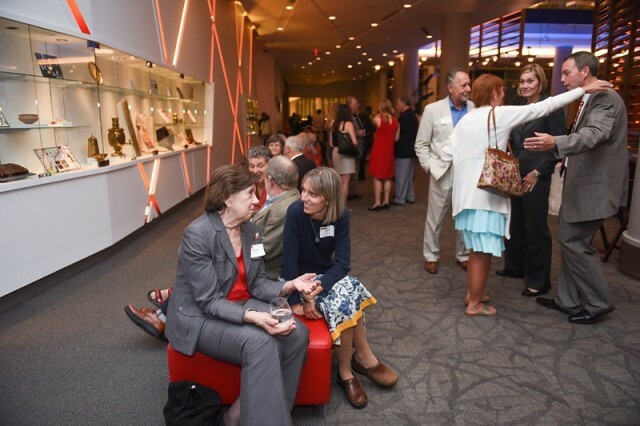 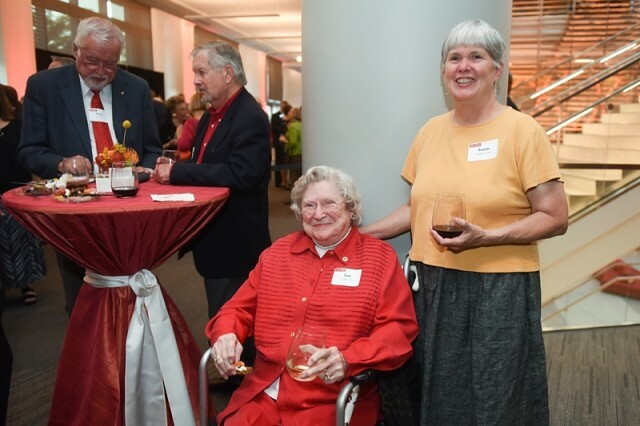 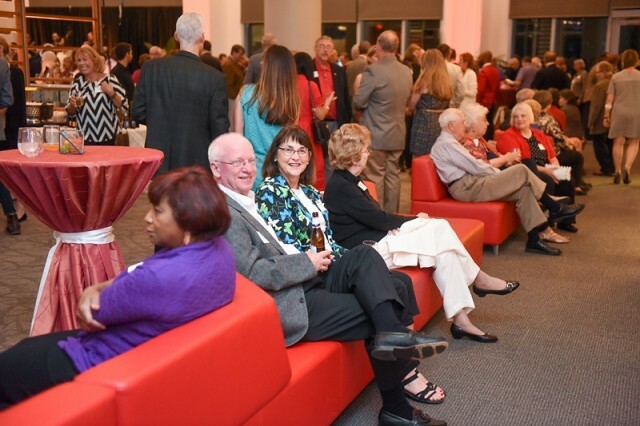 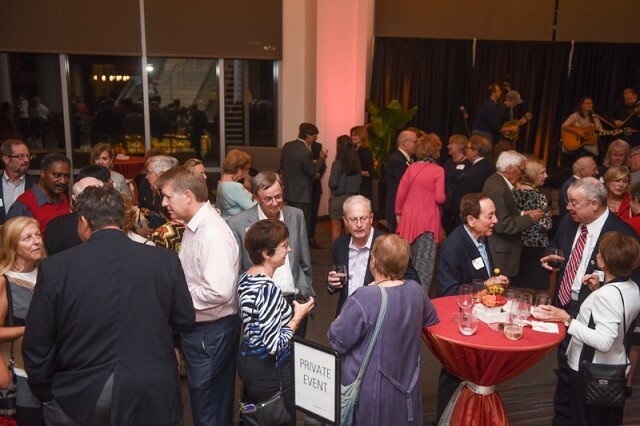 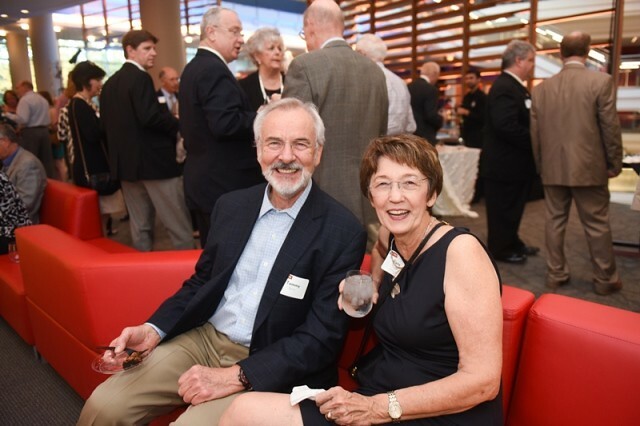 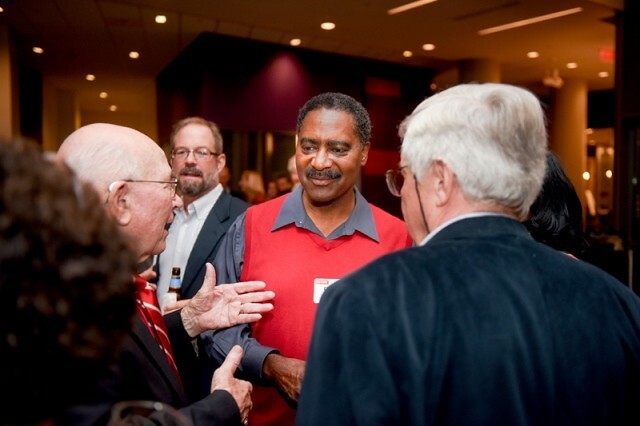 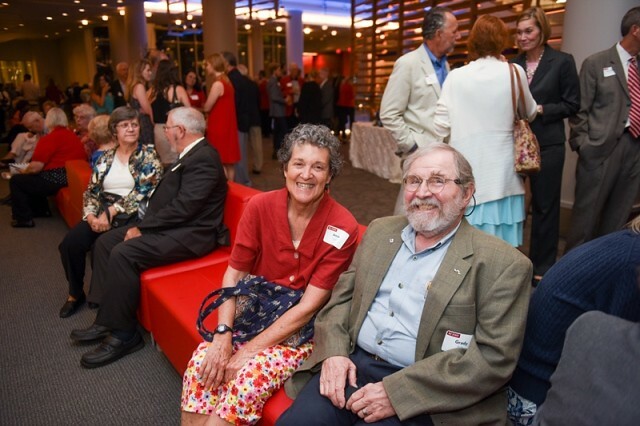 Some 4,000 alumni, faculty and staff members and friends are Chancellor’s Circle members, by virtue of having made an annual gift of $1,000 or more. 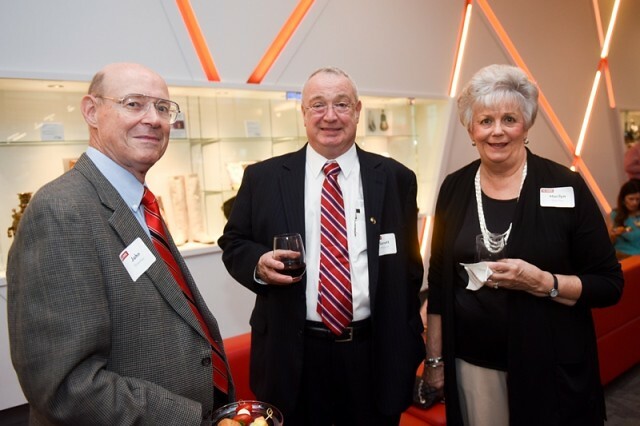 Membership in the group has increased by 54 percent over the past five years. 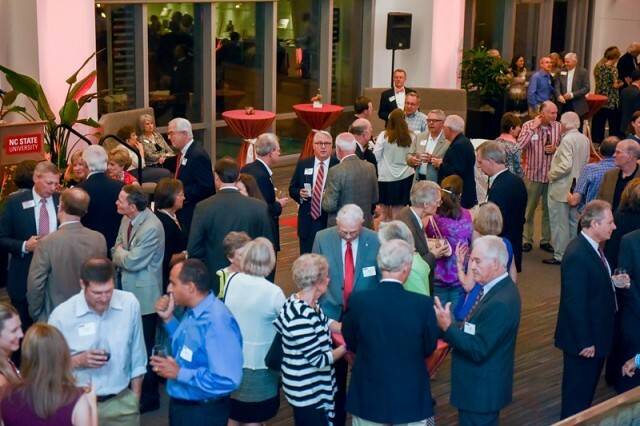 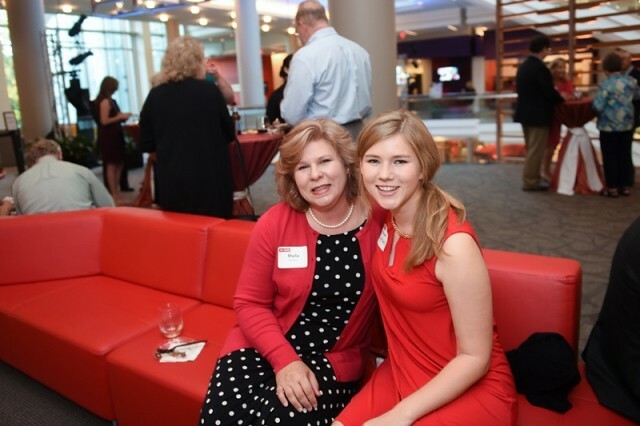 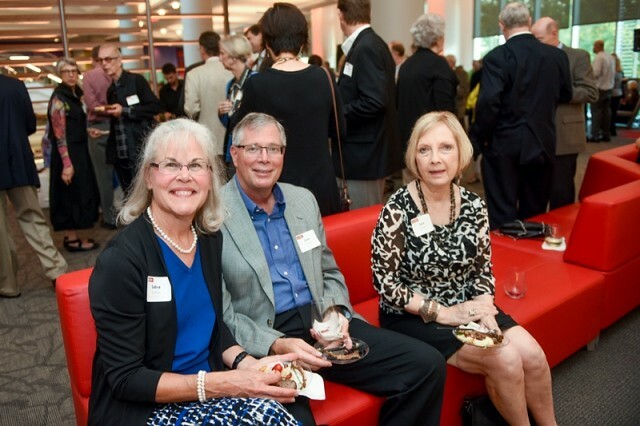 This past year, Chancellor’s Circle members invested more than $30 million across campus — enhancing every college, NCSU Libraries, scholarship opportunities, international experiences for students, the arts, tutoring and other student support programs, faculty excellence, research initiatives and other efforts. 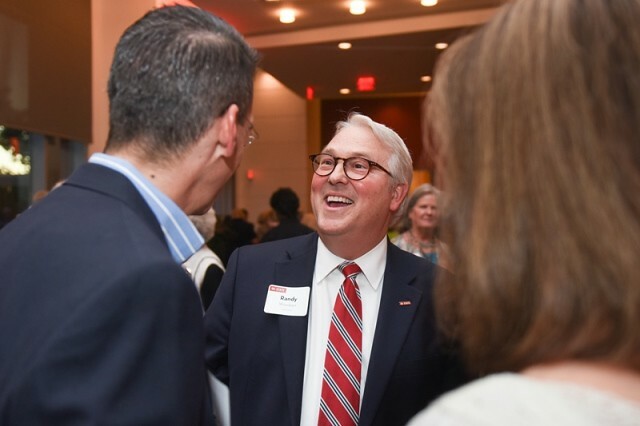 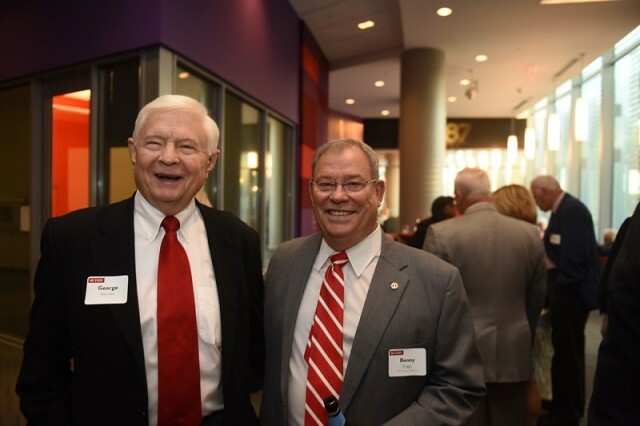 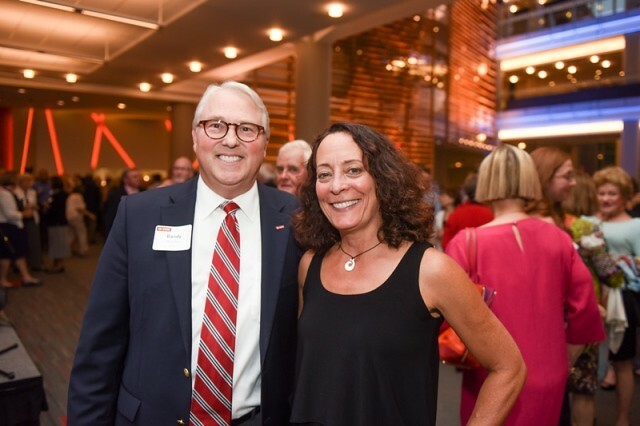 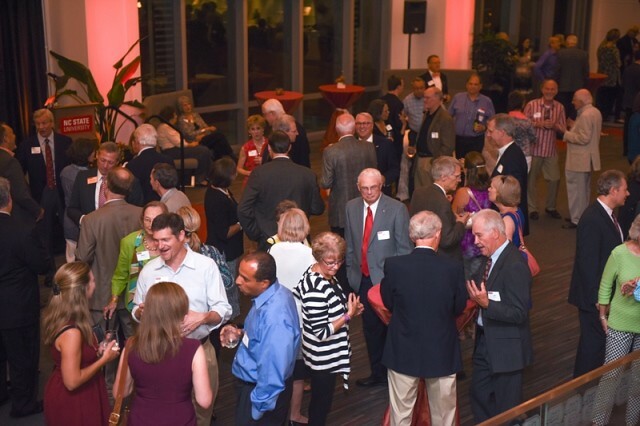 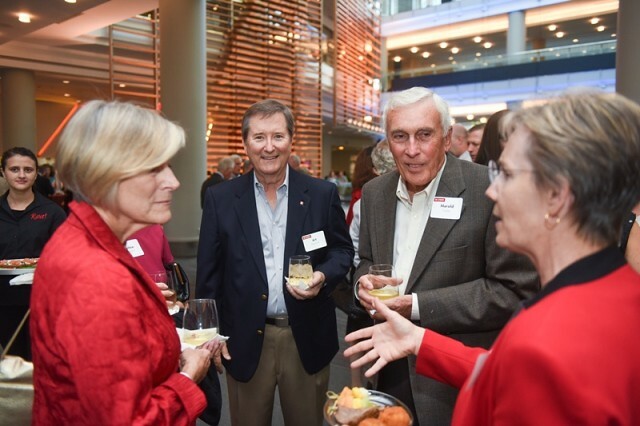 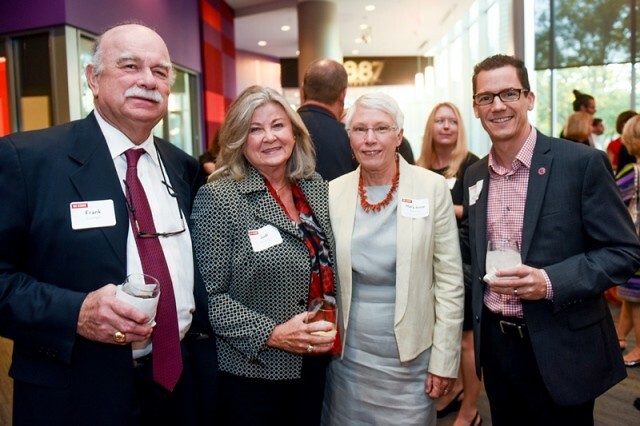 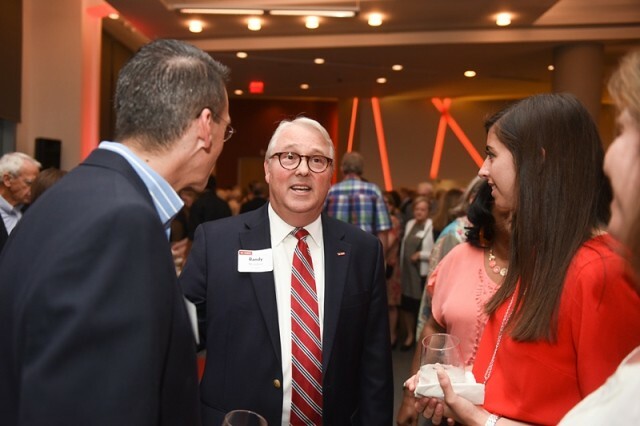 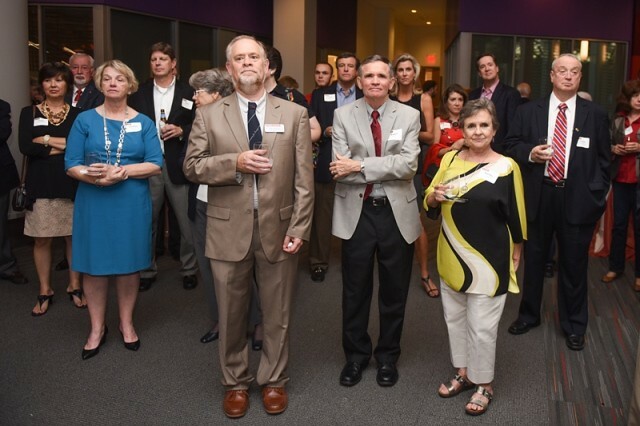 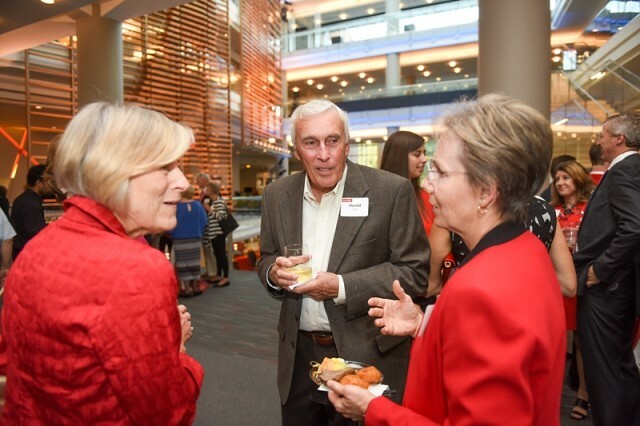 At the celebration, Chancellor Randy Woodson thanked donors for helping NC State build strong momentum despite reductions in public funding in recent years. 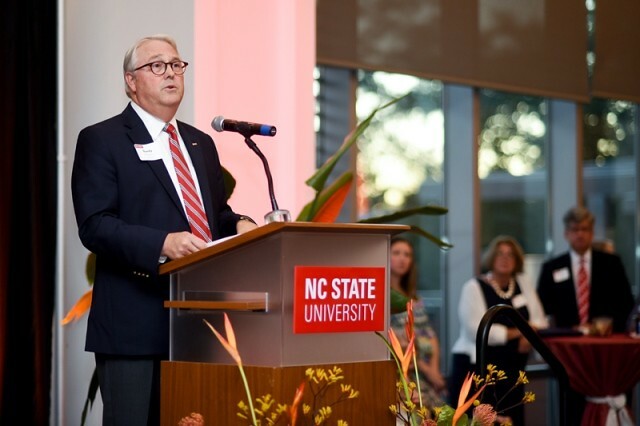 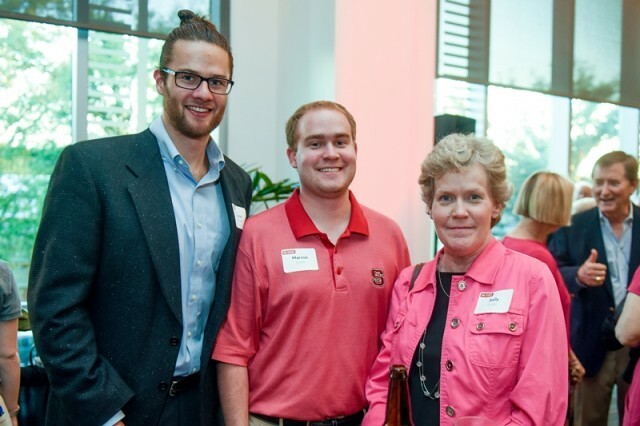 The fiscal year that ended June 30 marked another record-setting year in philanthropy at NC State, with new gifts and pledges that totaled $208.5 million and represented an 11 percent increase from the previous year. 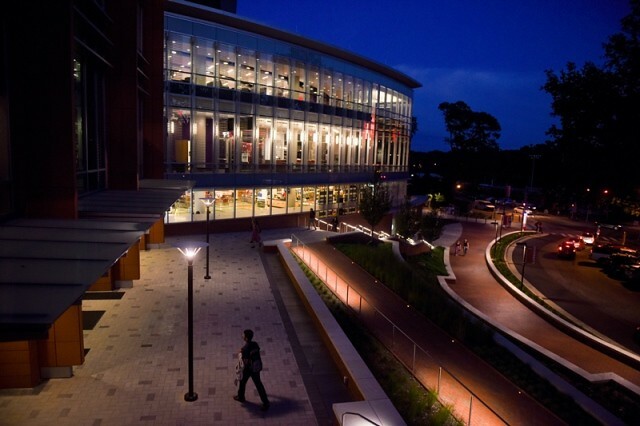 The university’s endowment topped $984 million, up 96 percent since 2010. 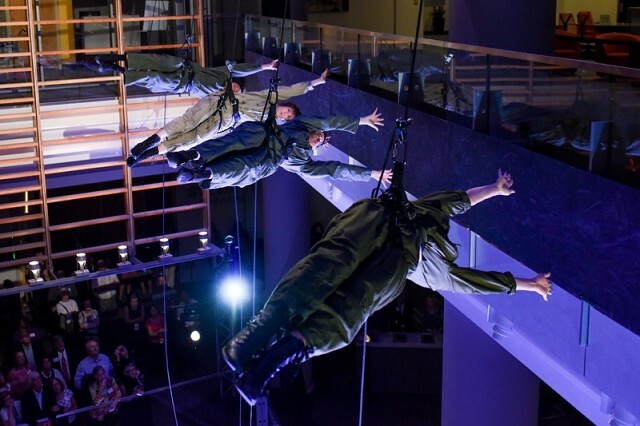 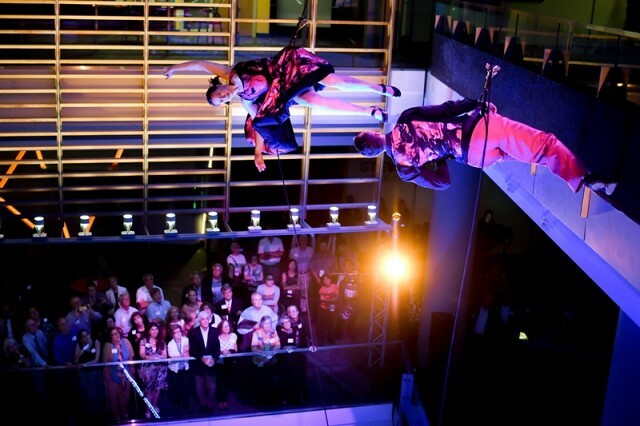 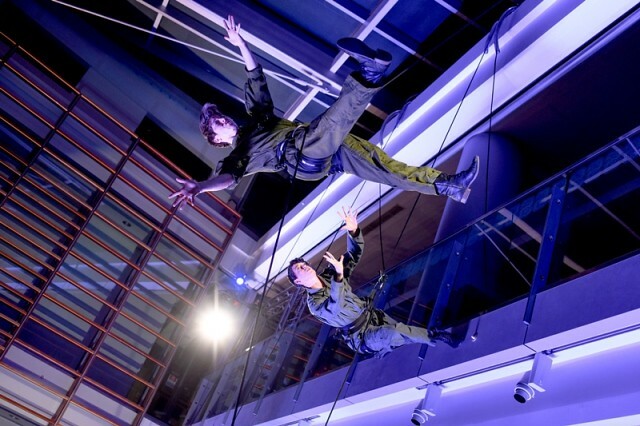 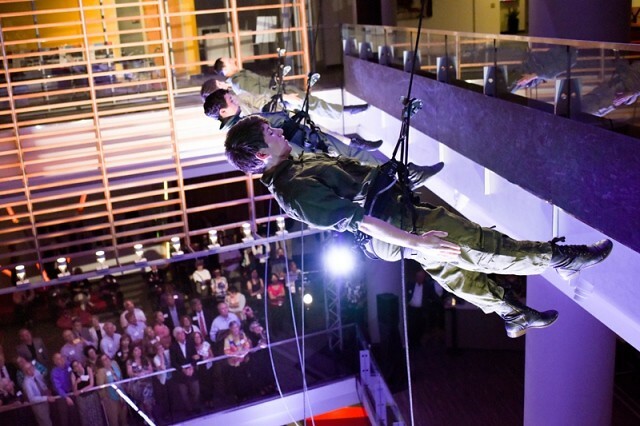 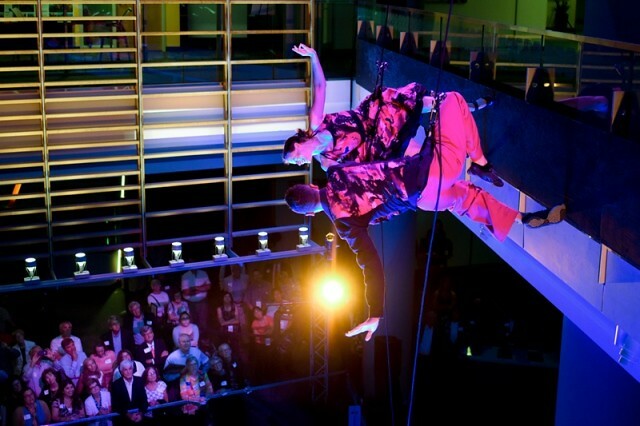 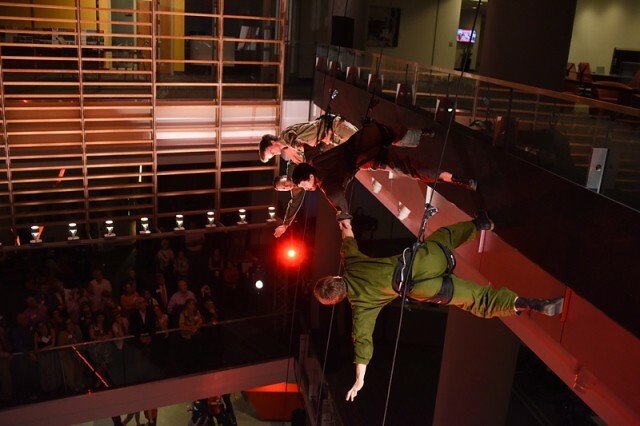 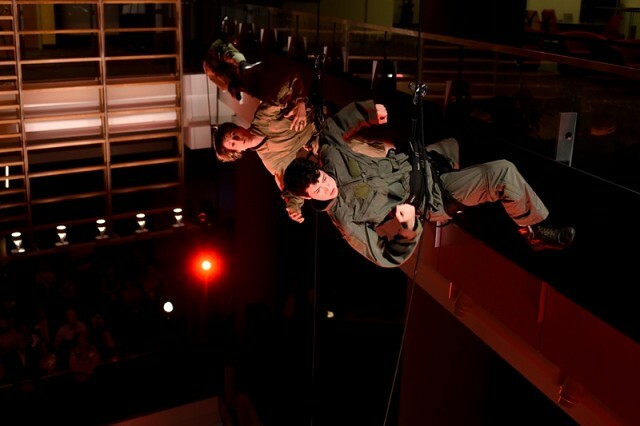 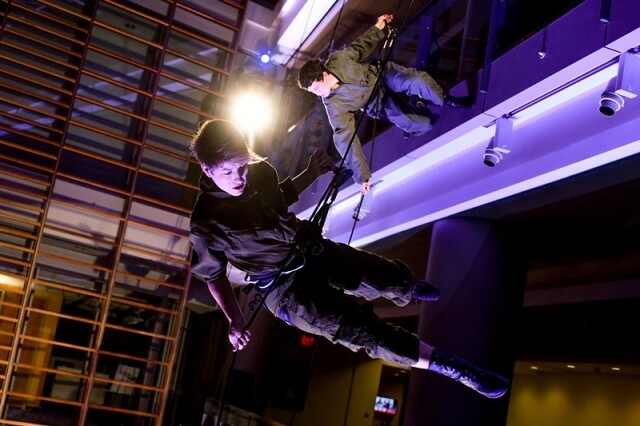 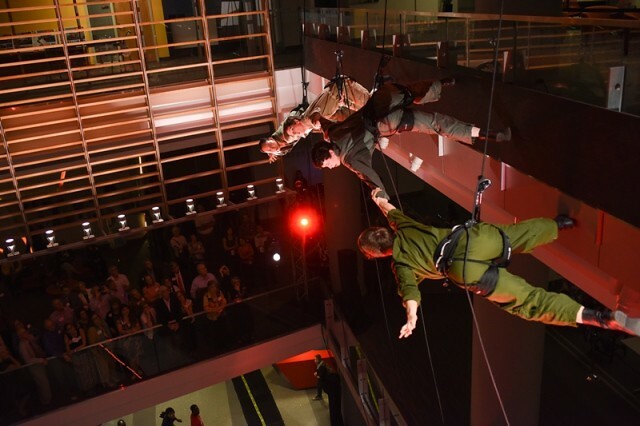 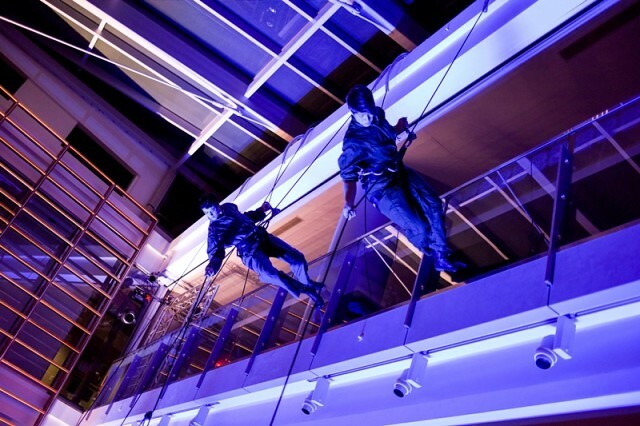 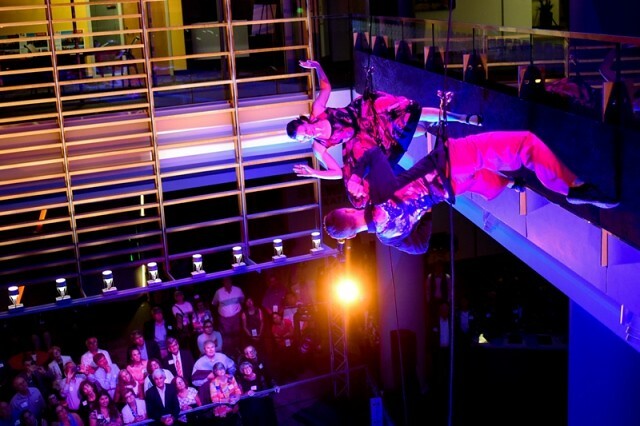 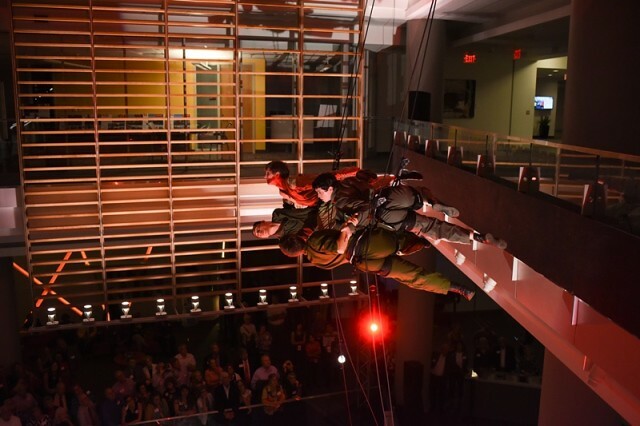 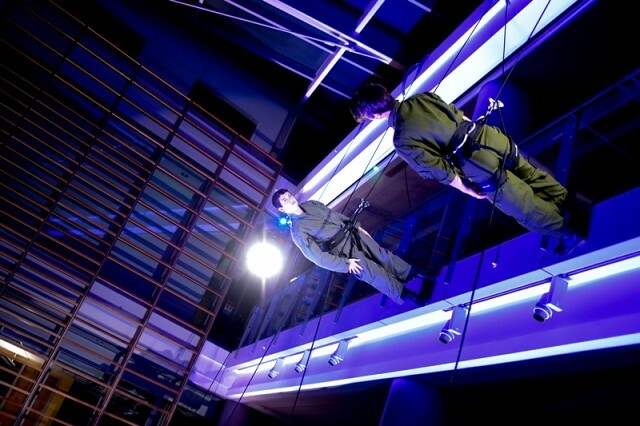 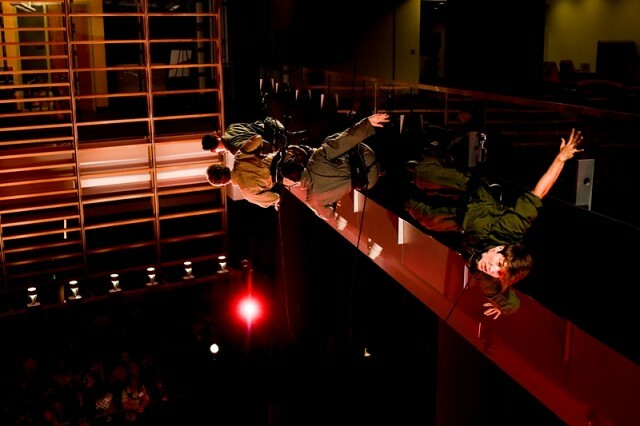 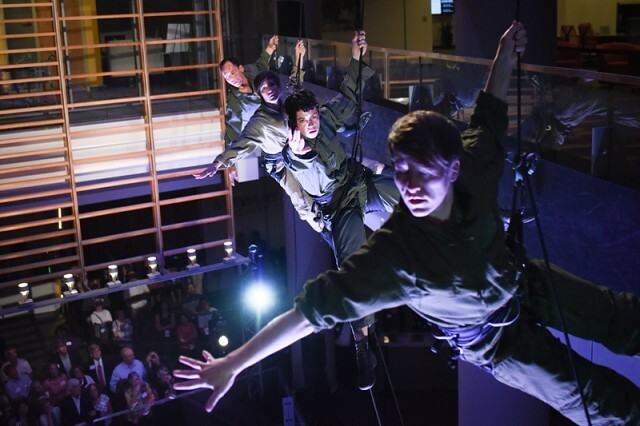 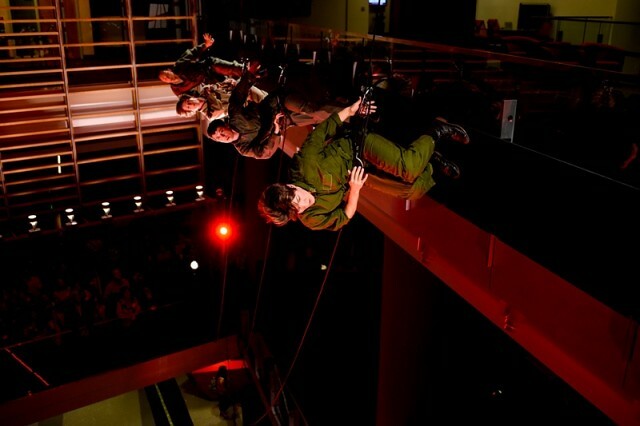 Chancellor’s Circle members had the opportunity to attend a performance of Bandaloop, which began in the Talley Student Union atrium before moving into Stewart Theatre. 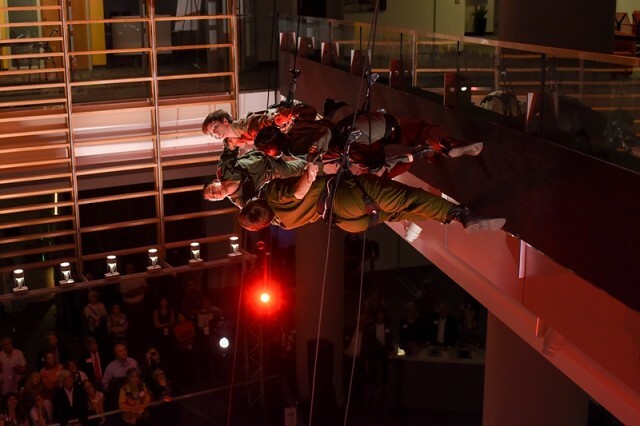 A residency by the group — which is an innovative pioneer in weaving together intricate choreography and the art of climbing — helped kick off a new season of NC State LIVE, the performing arts series formerly called Center Stage. 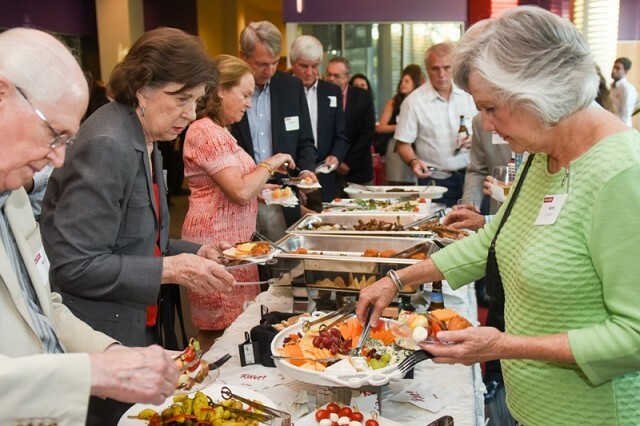 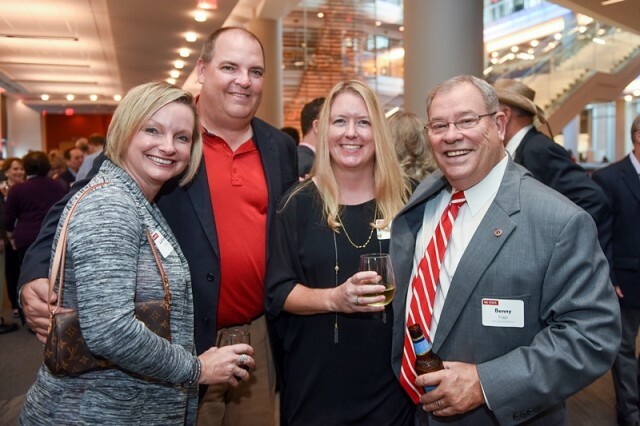 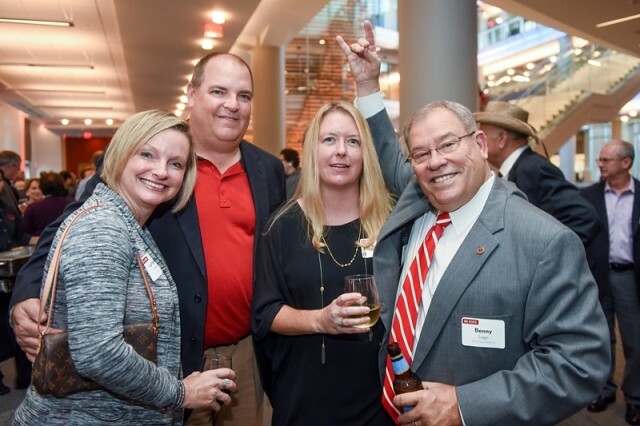 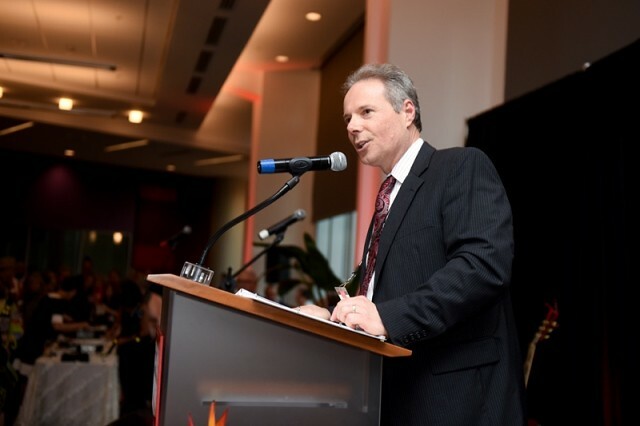 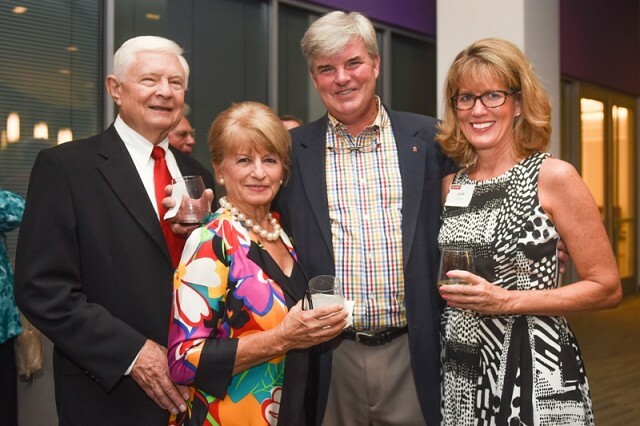 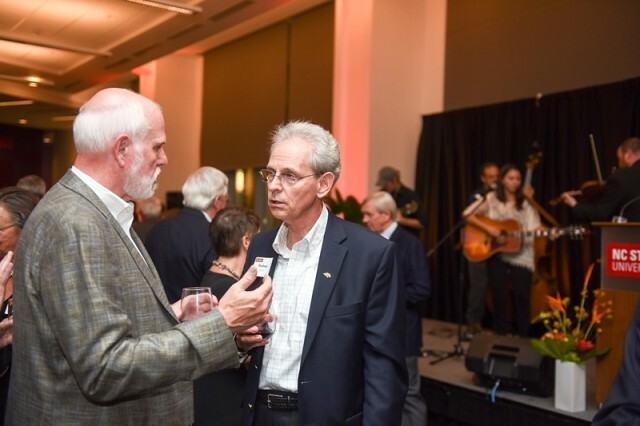 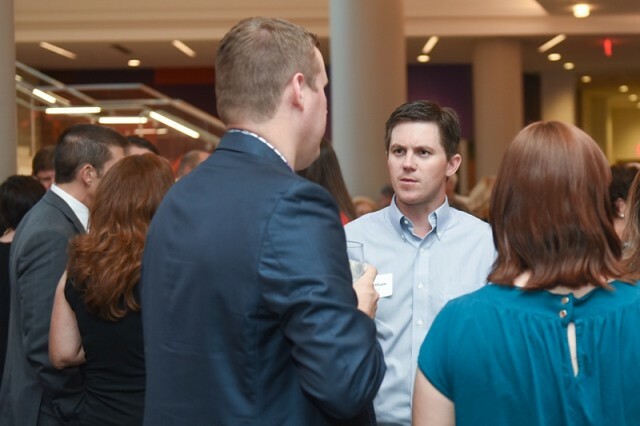 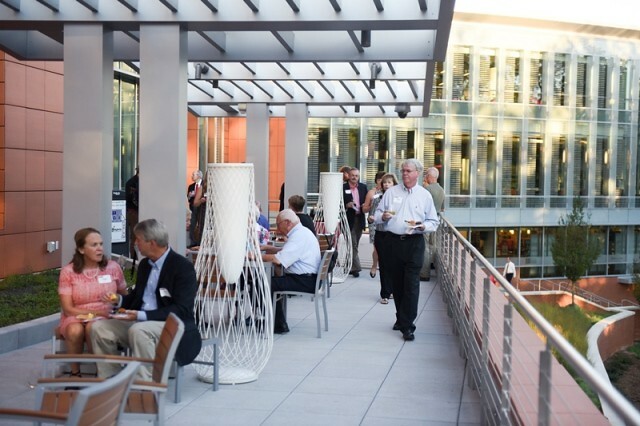 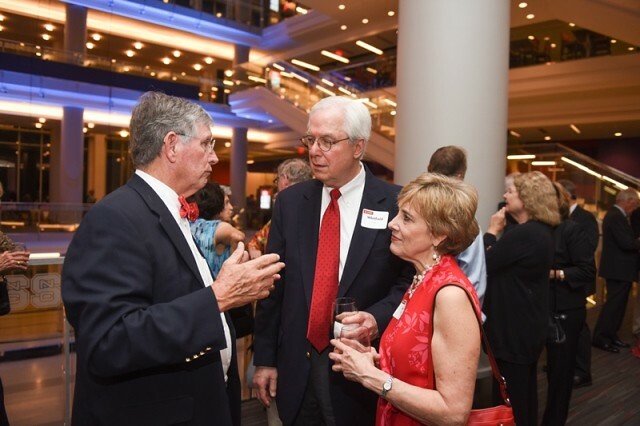 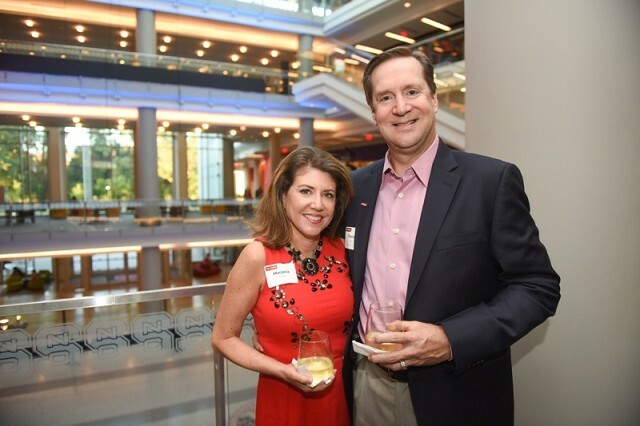 The event also showcased the recently completed renovation of Talley Student Union, which among other roles serves as a nexus for many of the 600-plus student organizations on campus, Woodson said. 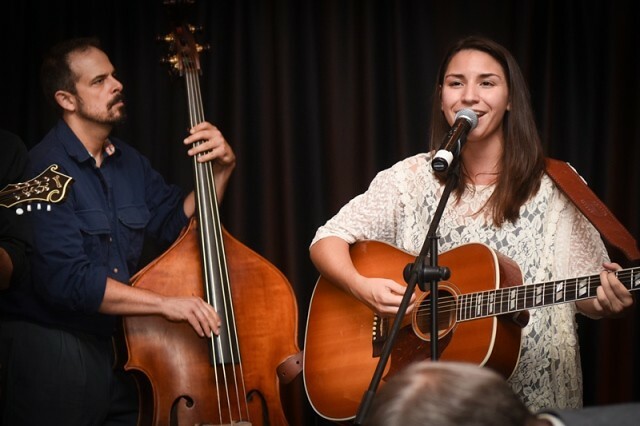 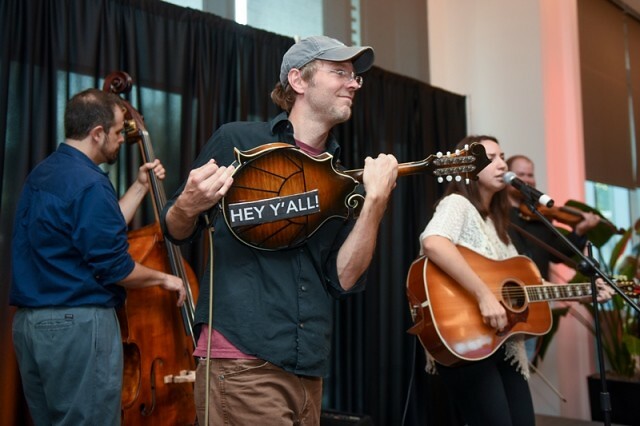 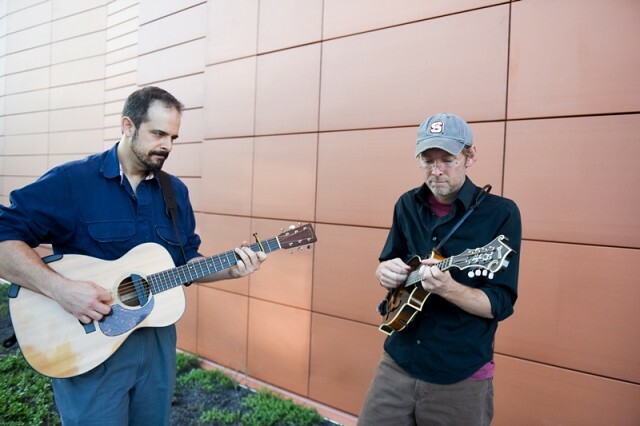 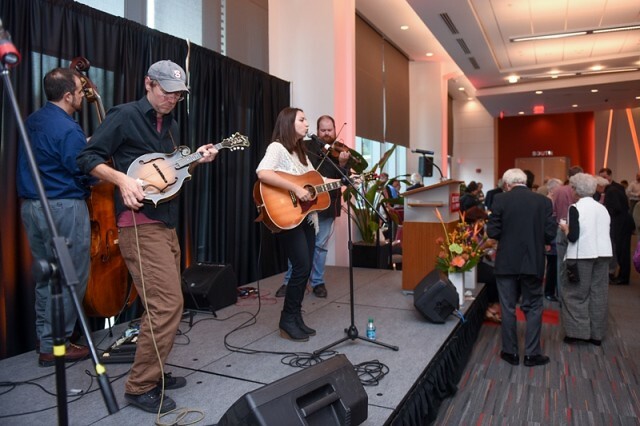 Providing entertainment at the Chancellor’s Circle reception was the bluegrass-rock group Christiane & the Strays. 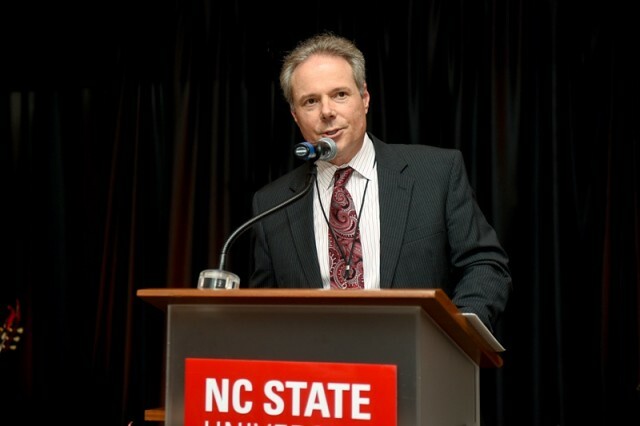 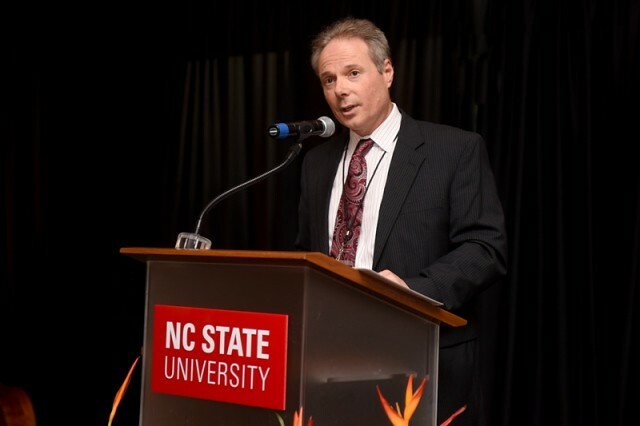 Rich Holly, who became executive director of ARTS NC State this summer, welcomed guests, thanked them for their support of the arts and other programs at the university and introduced the chancellor.